The fall weather has started to cool things down around the Cocoa Beach and Orlando areas. This has made our bite continue to be pretty good when the weather allows us to get out and fish between frontal passages. East of the Orlando area captain Justin and I have been fishing in the Indian River on our flats and back country trips. 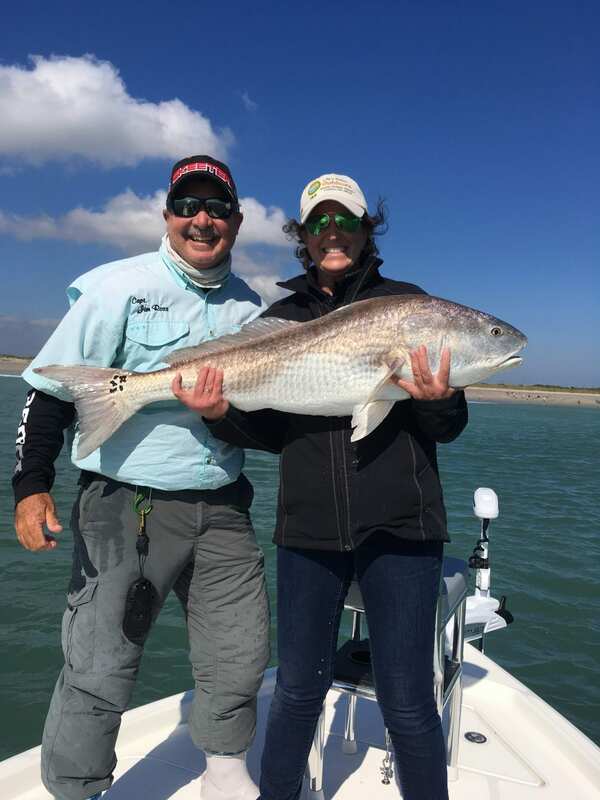 Here we are targeting black drum, redfish, and speckled trout. The Skitterwalk topwater plugs are best for he trout early in the day then we are switching over to jigs or cut baits and catching the other two species. Along the near shore coastal waters near cocoa beach we’ve been getting a mixed bag of fish on most days. Jack, bluefish, spanish mackerel, redfish, whiting, shark, and pompano are some of these. The jacks blues and spanish have been aggressively chasing the top water plugs. We have been mainly using Rapala Skitter pops lures this week. Casting into the surf break and retrieving our lures very fast back to the boat is the way we have been getting these fish to strike. 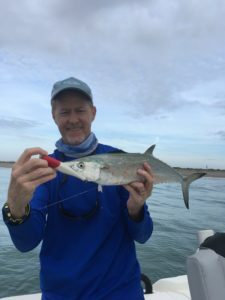 Whiting and pompano are striking jigs and spoons hopped along the bottom. We can usually cast for all of these fish while putting lines out the back of the boat with live or cut baits on them for the sharks and bull redfish. The water temperatures are closing in on the lower 70 degree range and as they do we will see more cobia and tripletail over the next three to four weeks. If you are wanting to get in on some of this action please go to our reservations page and book your trips now. Until next time…Catch a memory!!!! !